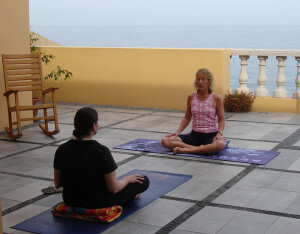 Yoga practices were traditionally passed down on a one-on-one basis to ensure the teachings were meaningful to each student. In today’s chaotic world, to most effectively support emotional, mental, physical, and spiritual growth, this individualized approach may be even more appropriate now. Private yoga sessions offer a safe space for students to delve deeper into their bodies, minds, and hearts. Private yoga sessions might be just what you’ve been looking for if you feel a custom-designed class to address your needs is important or you simply want to gain more confidence in your abilities prior to joining a group class. Whether experiencing a physical medical condition, wanting to build strength and/or flexibility in the body and mind, or working through past traumas, private sessions can provide you with self-care tools to support your journey. I can also work with you to set up your own home practice and/or assist you in learning how to modify poses to accommodate your unique body experience, which can be difficult to do in a group setting. Individualized guidance can be particularly helpful if you are new to yoga, challenged by certain poses, or have medical concerns that require attention. Instruction in the use of props to support your practice and modifications and adjustments to poses or alternative poses are a particular focus. Some students have found that they only need a few private yoga sessions to launch or fine-tune their practice, while others prefer regular sessions to build upon their group and home practices. If you might be interested in exploring the possibility of scheduling a private yoga session, please reach out to connect with me to discuss your needs and options.